"'Extreme Makeover' home gets new look"
Featured in Bartlesville Monthly Magazine, September 2018. 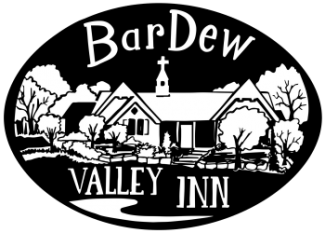 "BarDew Valley Inn Offers Quant Getaway - Bed & Breakfast Undergoes 'Extreme Makeover'"
Many visitors to the Bartlesville area have discovered a unique, relaxing bed and breakfast snuggled in a tranquil valley, but the owners of BarDew Valley Inn hope the word reaches even more travelers and event planners from near and far. So recently the Inn joined Green Country Marketing Association, one of the 11 multi-county organizations working with the Oklahoma Tourism and Recreation Department and others to promote state tourism. “We are thrilled BarDew Valley Inn has joined Green Country as we strive to promote events and sites in northeast Oklahoma for our members,” said Jackie Stewart, executive director of Green Country. BarDew Valley Inn is a family-owned and operated bed and breakfast located just outside Bartlesville, Oklahoma. “Our Inn is more than just a bed and breakfast. It was a place built on ideas and opportunities becoming realities. ABC’s Extreme Makeover: Home Edition with Ty Pennington saw potential, and so did we,” states Beth Anderson, co-owner and vice president. Perry Haynes, developer, is president and co-owner. This home was originally built for the White Family in 2006 by Ty and his team, a product of work from over 1500 volunteers. In 2018, this diamond in the rough turned into a new home, then, became the BarDew Valley Inn. The Inn sits on 14 serene acres and includes hiking trails and a private pond. “Where they saw the potential for something greater, we agreed; we made it into something not only for ourselves but for others. The Inn attracts visitors and nomads from all over the U.S., not only due to the uniqueness of our Inn itself but due to the surrounding activities and cultural events,” Anderson said. The Inn is within driving distance from Dewey, Pawhuska, downtown Bartlesville, the Price Tower, Woolaroc Museum and the Pioneer Woman Mercantile. “How often can one drive a short ten minutes, and find themselves in another world of beauty, peace and quiet? BarDew Valley Inn offers this option of relaxation and an overnight stay to residents of the Bartlesville and Dewey area as well as to those from all over the country. “It's fun to come back after a busy day of sightseeing, and relax in a comfortable private suite, have a refreshing night's sleep, a bite of breakfast and then head out for another day of adventure in northeast Oklahoma. “Just last weekend, a fabulous bridal shower was held in the public rooms of BarDew Valley Inn, and more than 30 guests enjoyed a fun afternoon in a beautiful setting. Guests were raving about how nice it was to find a location close to town, yet it had the feeling of being totally removed from the hustle and bustle of a typically busy venue,” Anderson explained. The Inn has been booking its rooms as well as their Inn for events since last September. People rent the great room area by the hour for special events such as anniversaries. The Inn is located at 39340 W. 1400 Road, Bartlesville, OK 74003. For more information, visit bardewvalleyinn.com. We love to stay in touch with our guests! Welcome us into your inbox! We will occasionally email you with the latest news including special offers & discounts, events & activities, breakfast recipes, and more from the BarDew Valley Inn - Bed & Breakfast.